Dorcus from Tanzania raised $838 to fund orthopedic surgery. 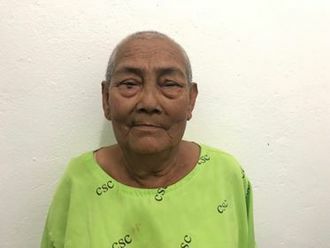 Dorcus's treatment was fully funded on June 24, 2018. Surgery was successful, and she is now in a cast. When Dorcus’s cast is removed, she will be able to walk without any pain or discomfort. Dorcus is a baby from Tanzania. She is very playful and the youngest in a family of two children. Dorcus’s father is a shopkeeper, while her mother looks after the children. Dorcus was diagnosed with genu varus. Her leg bows outward. This condition is typically caused by an excessive accumulation of fluoride in the bones, which often stems from contaminated drinking water. Our medical partner, African Mission Healthcare, is requesting $940 to fund corrective surgery for Dorcus. The procedure is scheduled to take place on June 18. Treatment will hopefully restore Dorcus’s mobility, allow her to participate in a variety of activities, and greatly decrease her risk of future complications. We received an update on Dorcus. Read the update.